I don’t know about you but once I’m home from the gym I am ravenous! I’m always looking for fast, filling and healthy options post workout. One of my go to favourites are eggs. Eggs are highly nutritious and have loads of protein. Whether you eat them scrambled, boiled, poached or mix them into a smoothie ( yes, this is a real thing) they are loaded with good stuff for your body. 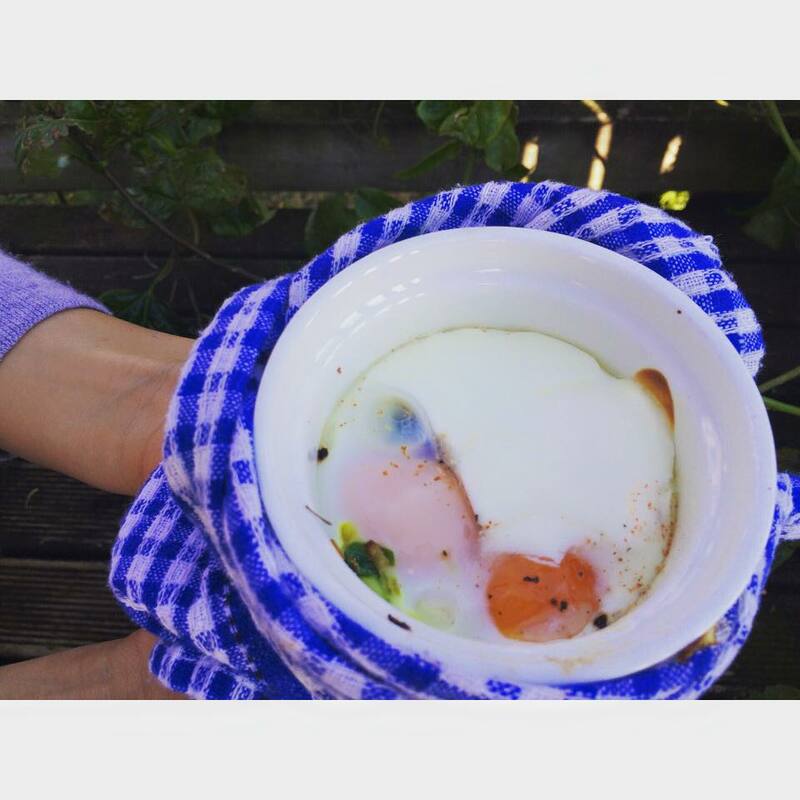 One of my favourites are baked eggs. This recipe comes from Nadia Lim and is so easy to make your kids could even help. Sauté onion, bacon, spring onions and thyme until onion is soft and bacon is cooked, a few minutes. Divide bacon and onion mixture between two ramekins and crack 2 eggs into each. Top eggs with 1 ½ tablespoons of cream or Greek yoghurt, season with salt and pepper and sprinkle over cheese and smoked paprika or sumac. Bake for 15-20 minutes depending on whether you want runny or set yolks. And there you have it. Very easy post work out lunch. Enjoy served with toast if you like, I prefer to eat without! Speak out + Shine On..